And now, to piss off not only many Italians, but possibly many artists and romantics, I have to state: Venice is not a real city. Yes, it is gorgeous. Absolutely it is romantic. But a real city? It is not! 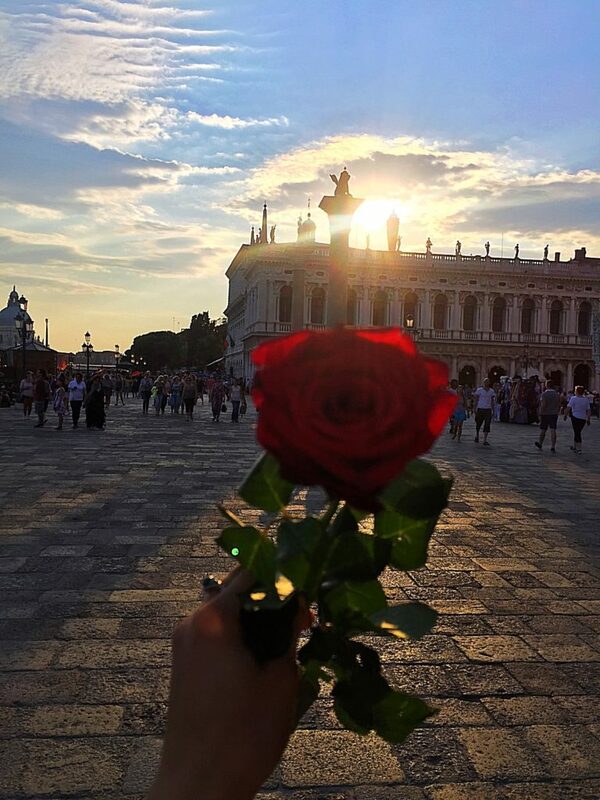 Romantic canals weave through the city of Venice, giving so much to people watching, on land and on the water. Once a city, literally created from nothing, it is slowly dissipating, as its citizens flee to find better jobs and more blossoming communities. Although the exact numbers are not available, at the height of the empire the population was roughly 170,000-190,000 around the 1560’s, and is now dwindling to 50,000, and getting smaller by the day. 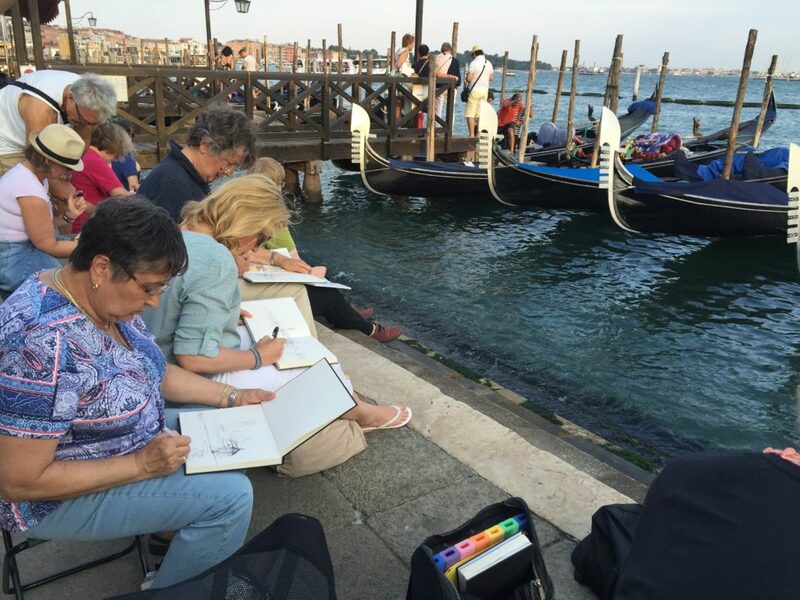 Artist on the Venice waterfront gather daily to draw, paint and scribble their interpretations of the view ahead. But I am not the only one who feels that this city is more like an amusement park with Gondola rides than a real city, even its few citizens agree. 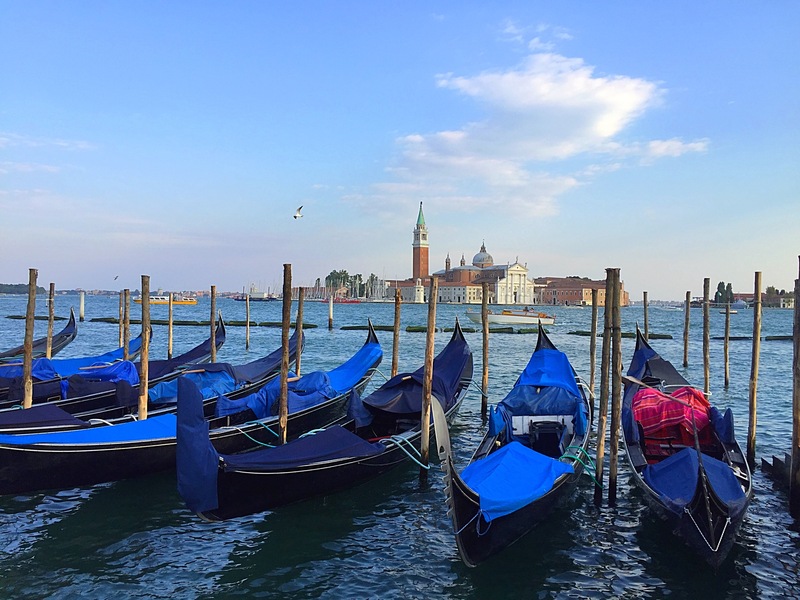 I interviewed Luca, my Gondolier who shared the harsh reality of living in Venice. With less tourists than there used to be and the city losing its power, making money is becoming harder to do. It’s clear the locals are not happy and very aware of the issue, arranging a mock funeral when the city fell to below 60,000 inhabitants. In fact, with 20 million expected tourists every year, this boils down to 55,000 tourists entering the canaled city daily, literally outnumbering the locals! This is probably why I didn’t feel much of a culture here. Some nights by 8 o’clock it started to resemble a ghost town. Streets empty, no sounds, making you feel the abandoned place it has become. Famous Venetian Masks line shop windows, some are made local, while others are mass produced in China. Many shop windows state that nothing is made in China there, interesting! Not only is the city itself, sinking, but so is its culture. 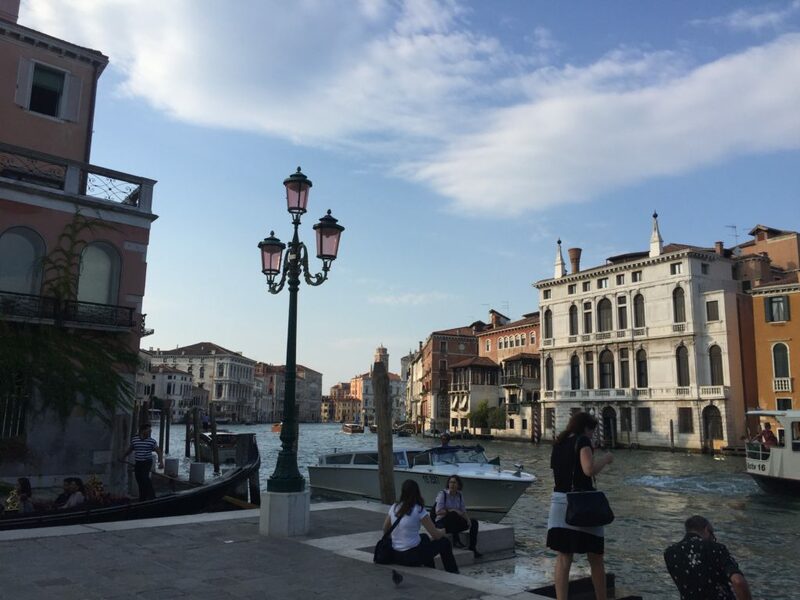 Once having the arts as a way to keep it alive, Venice today gave the impression of a tourist trap, trying ot keep the energy alive, just barely. Many store windows were adorned with traditional masquerade masks, cuddling next to signs stating nothing is made in China there. Clearly there is a struggle for people to make money and still compete with mass production, and this was the perfect example of the changing times. 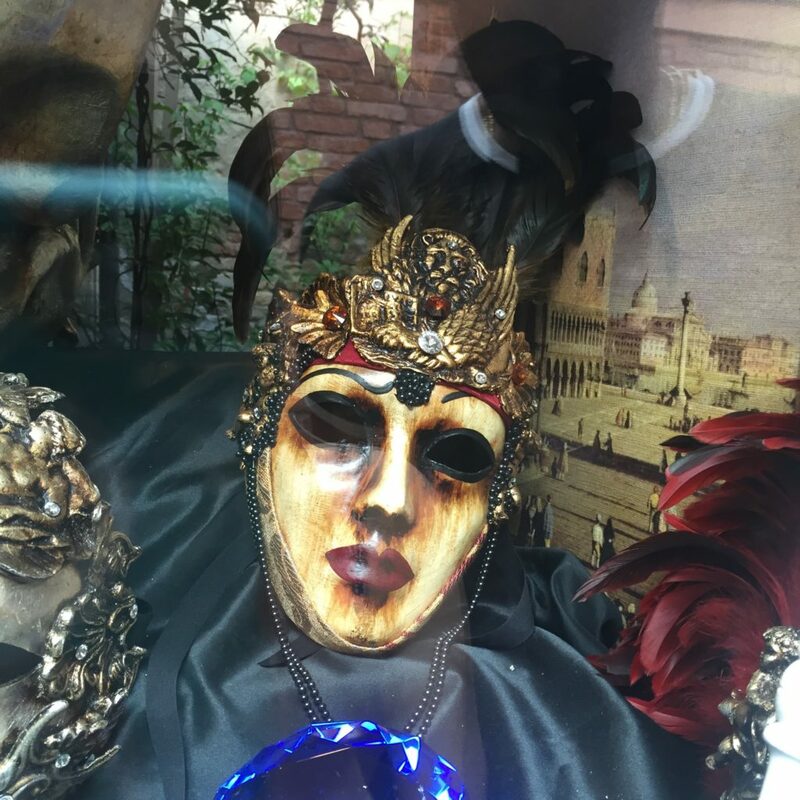 The masks are possibly the hallmark of Venezia and its artistic, creative and funky side. After a massive plague took a toll on the city, party events were used to not only therapeutically ease the depression of death, but allow for fornication between the classes even, as a way to boost the population rate into the future and grow their city again! But with the sea level rising, this is a whole other ballgame. Sea levels on the rise (global warming for any nay-sayers) has led to Venice experiencing a rise of 30 centimeters (one foot) in the last one thousand years, and the predication is that it will rise by 100 feet before 2100. Enjoy the picturesque views on the waterfront of Venice. So my suggestions is most definitely go for a visit! I do not regret getting to see this funky, artsy, modern meets old Renaissance city before it fell under water within the century. If you have a special one, this is a perfect place for you to visit together. It will bring the romantic out of you! You will find romance in corners you didn’t know existed- through the simplest of actions, with your partner, or sometimes eavesdropping on the neighbor pair in love. On the food front, I was not impressed. Although they are known for their squid ink pasta, I still think the cuisine I experienced has been better in Florence, or even Roma, over Venice. But hey, I’m sure you will find something delicious, it is Italia, after all! 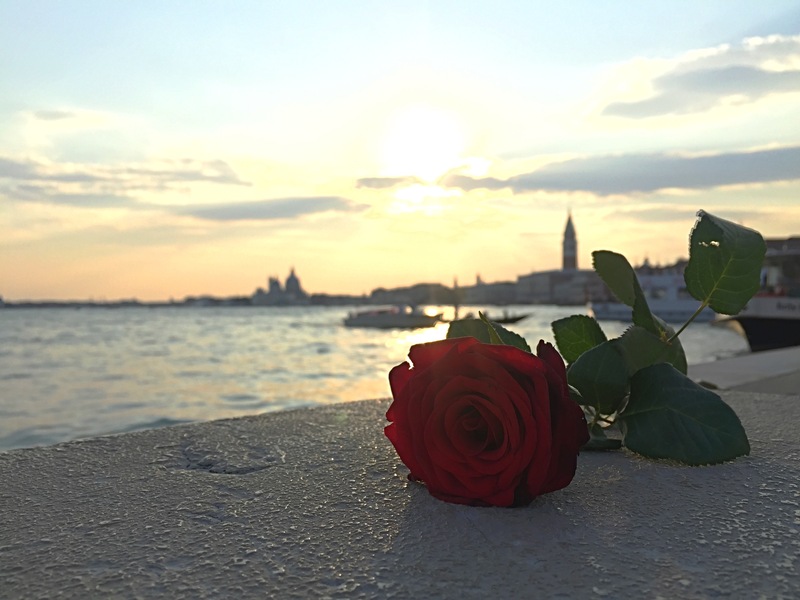 Visit Venice, Italy alone or with a partner and be swept away with the romantic views and feelings. Remember, this city has a vibrant life and history of exotic carnivals, grab a bottle and maybe join the youngsters on the Rialto Bridge, one of the oldest bridges in Venice. Youth and travelers come here to buy bottles of vino from the local shop and drink it on the stairs of the bridge. Another fun place to people watch, listen to live musicians and meet some fun foreigners. I didn’t need that much time in Venice! A couple of days should be enough unless you have a packed agenda of art galleries, museums and city exploration.